​Bayern Munich remain determined to land Chelsea youngster Callum Hudson-Odoi and have reportedly now made an improved fourth bid for the teenager. However, Sky Sports now claims that the fourth Bayern bid has gone in at £35m, at last matching Chelsea's supposed asking price for Hudson-Odoi. "To stay here is better for him," the Italian is quoted as saying by BBC Sport. "He is very young but he is improving, especially in the defensive phase. I don't know the situation with the club but for me he is an important player." Sarri also described the starlet as having a "...very great future here with the national team and with Chelsea," but added, "I am not in charge of all these questions and I don't want to speak to a player about something that doesn't depend on me." 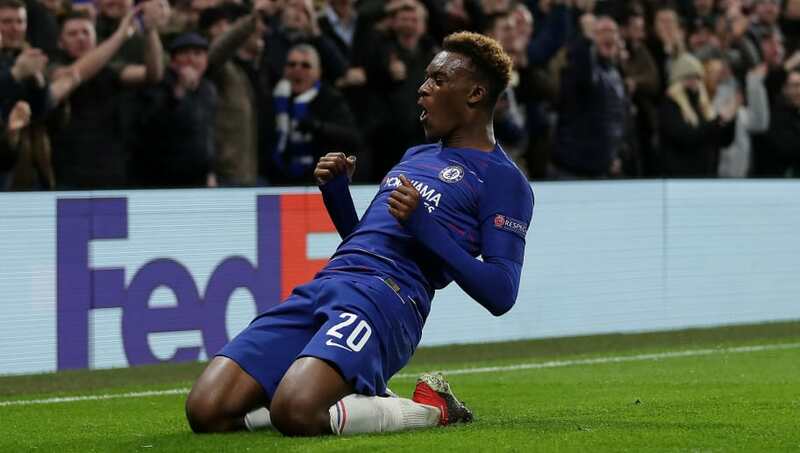 In his most recent outing, the highly rated youngster assisted both of Chelsea's goals in the 2-0 FA Cup third round win over Nottingham Forest. Bayern have seen the success that Bundesliga rivals Borussia Dortmund have had with Jadon Sancho, ​reportedly even preparing to offer Hudson-Odoi the number 10 shirt that will be vacated by departing veteran star Arjen Robben at the end of the season.